We continue our feature profiling rising stars with a look at Brendan O'Donoghue, who earned a spot on the main tour after topping the Irish standings. Career highlights: Topped the 2008-09 RIBSA standings despite a semi-final defeat to John Hogan at the National Championship. Won the Irish Championship in 2003. General: Confirmed his place at the top the Irish standings with win over John Torpey in the quarter-finals of the National Championship. Going into the competition Mario Fernandez was the only player who could take his tour spot away, but he lost to TJ Dowling in the quarters, which made O'Donoghue's lead unassailable, despite Martin McCrudden winning the tournament. O'Donoghue also part of victorious Irish team at last season's European Championships and won the Irish National Championship in 2003. Strengths: Has canny of knack of turning half chances into frame winning opportunities. Solid safety, combined with the ability to drain long pots, can see him punish players who have done little wrong. A perfect example of this came in the final of the Munster Close tournament in Limerick earlier this month when he romped to a 3-0 final victory over John Torpey. Local player Toprey left O'Dononghue three long pots and the Tipperary player took each chance with ruthless efficiency. Weaknesses: On the main tour O'Donoghue will enter a dog-eat-dog world where there is no time to settle in. Only six rankings events are confirmed for next season and if the Tipperary man does not hit the ground running he could find himself back on the Irish tour in the blink of an eye. He also has a full-time job, which restricts his practice to just two hours-a-night. Will have to devote more of his free time to snooker if he is to make his mark on the tour. Was on Irish team that won the European Championship in Scotland in 2008 and also represented Ireland in Russia at this year's event, where they reached the final before being beaten by Wales. Club-mate David Hogan was also on the team. Has 14 All-Ireland titles to his name at various age groups, including three All-Ireland club titles with New Institute. Comes from Nenagh in Tipperary, the home town of 1932 Olympic 400m gold medallist Bob Tisdall. 1908 Olympic marathon winner Johnny Hayes was American but both his parents were from Nenagh, while Pogues singer Shane McGowan spent part of his youth in Nenagh. Becomes 10th Irish player confirmed for main tour next season and the sixth from the Republic. 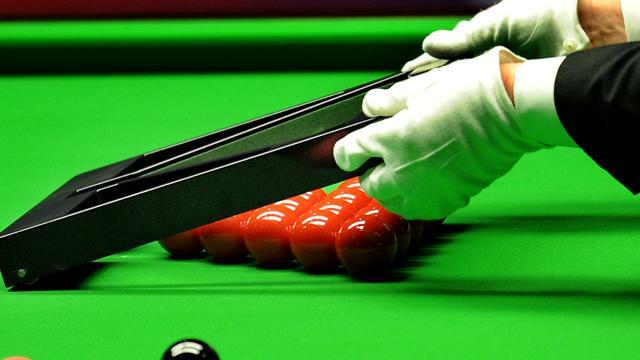 Fergal O'Brien, Michael Judge, Ken Doherty, David Morris and Joe Delaney are the other Republic players while Mark Allen, Joe Swail, Patrick Wallace and Gerard Greene from the North will also be on tour. Highest official break is 144.